With the 3.4 release of MSP Manager, notifications are now customizable, allowing Customer Thermometer 1-click surveys to be added. A tighter integration with additional features is coming soon. In your reporting, Custom 1 will show the ticket number, Custom 2 will show the agent’s name. 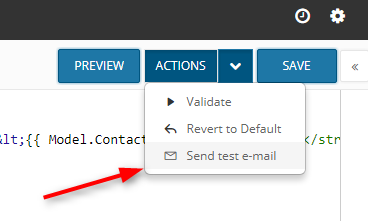 Custom 3 will show the agent’s email address (useful for email alert notifications). You’ll find the complete list of Data Model Variables available for capture in the Notification template customization area of your Solar Winds account. 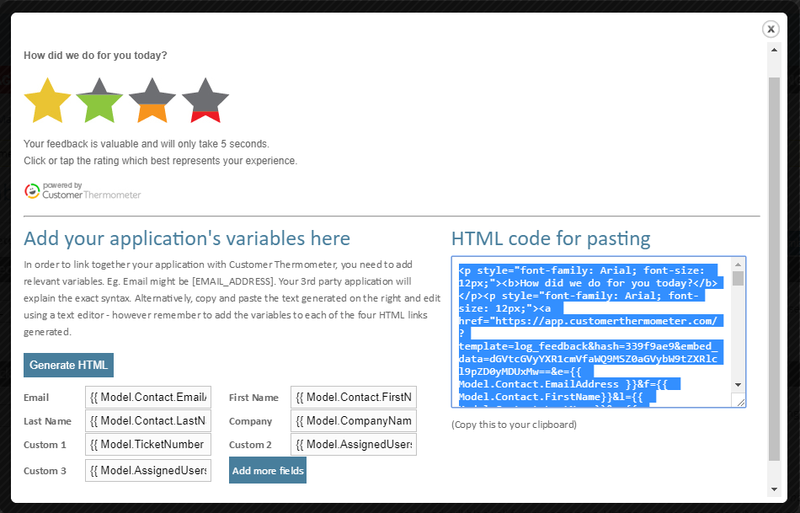 Copy the HTML code generated in the box on the right hand side. Note that it’s possible to prompt for feedback on a ticket notification update (from agent to customer) and/or a ticket closure notification. Tailor your requests, depending on the nature of your tickets and your business. Login into SolarWinds MSP Manager, with admin access. Visit Account settings > Company settings > Notifications > When a ticket gets marked complete. Ensure you are notifying the ticket contact of closures. 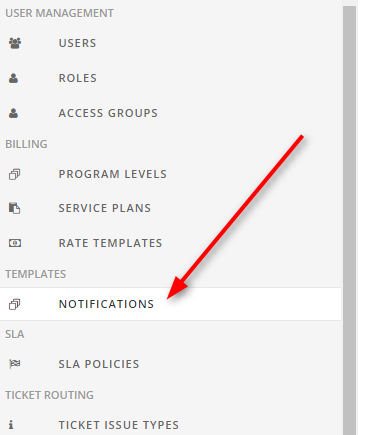 It’s then time to customize the notification template itself for the ticket closure. You then have the ability to customize templates, by language. Typically, you would create a different Thermometer survey per language (ensuring the Landing pages for each Thermometer were in the correct language) and add the relevant embed code to the relevant SolarWinds language template. Only HTML templates can contain your Customer Thermometer feedback icons. 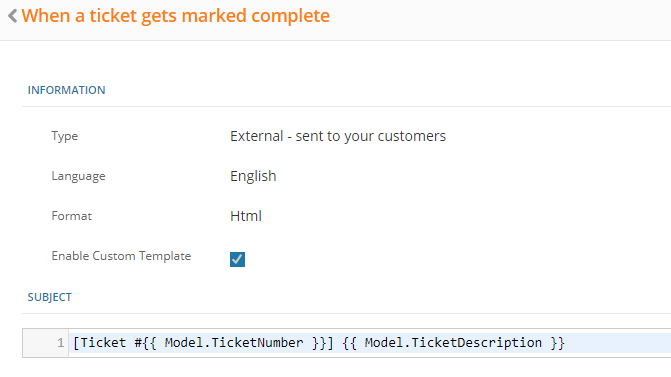 When inside the ticket template, ensure the enable custom template button is ticked. Next, it’s time to add and customize your embed code, copied from Step 1. You can add it wherever you wish, you can amend the text around and the styling too. Ensure you do not alter the URL hyperlinks attached to each image, or your Thermometer will not work. 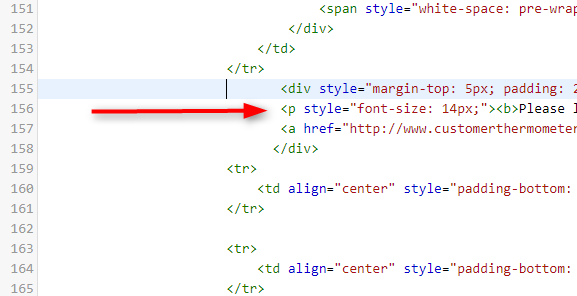 It’s been wrapped in a simple <div> and in the example above, we’ve also upped the font size of the question to 14px. It is also possible to add a 1-click survey each time a ticket is updated. Whether you choose to do this as well as on closure is entirely your choice. Many customers use this option as an ’emergency stop’ opportunity for customers. If they hit a red button, they’ll get an immediate response. Notice, only the Internal template is showing as customizable. Don’t worry – this notification will also be received by the external customer too – so go ahead and follow the instructions shown above to add a Thermometer to this template. 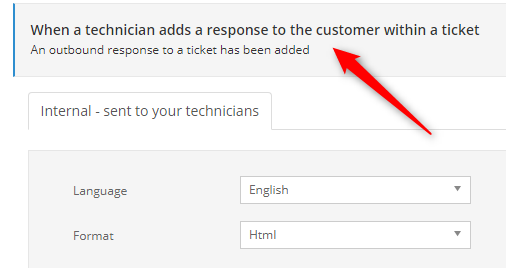 1-click surveys will then be sent each time is a ticket is updated by a technician. 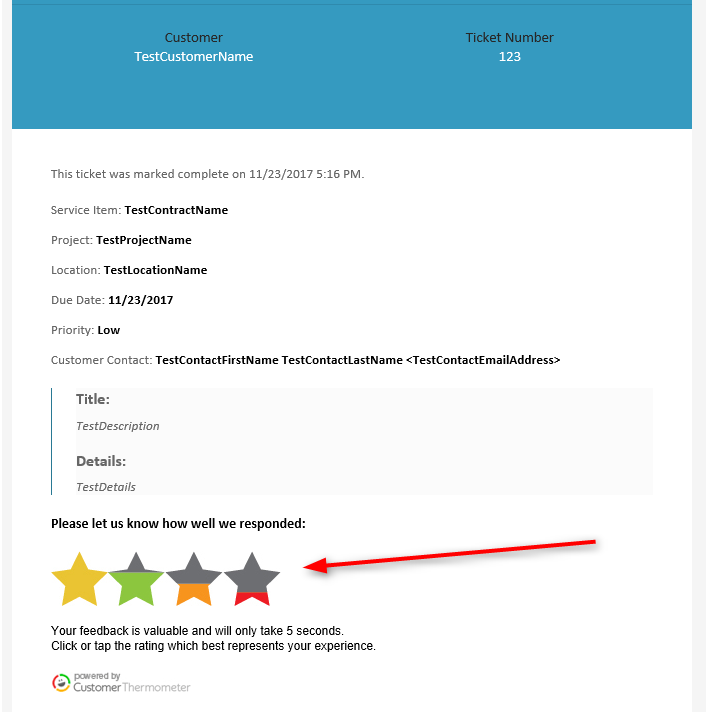 In this mode, multiple ratings per ticket will be recorded and shown inside your Customer Thermometer reporting. If preferred, you could set up a separate Thermometer for the ticket closure survey. Responses for ticket closures would then be grouped in one Blast report and ticket updates in a separate report.